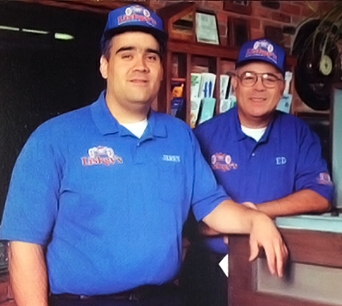 Our story begins in 1960 when George Liskey, our founding father, opened the doors of this two-man shop. George worked for the John Bean Corporation here in Lansing and was by far, way ahead of his time. George was a pioneer in the automotive suspension field. 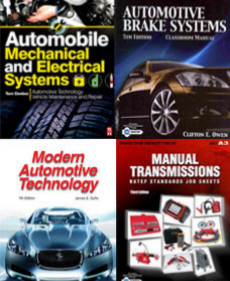 He would develop and published the first suspension specification chart in the industry. George would take measurements and document his findings on all types of vehicles. George worked very diligently to develop a way to keep vehicles aligned to their true center, thus resulting in cars tracking forward in a positive direction. In 1962, Ed Carpenter, recently graduated from Ferris State College, moved his family to the Lansing area and began working for George Liskey. They formed a close relationship both working and personal. After a few years, Ed decided it was time to move on and get more exposure in the automotive field. He left Liskey’s and went to work for a dealership. In 1972 George Liskey approached Ed and offered to sell the business to him. It was time for both men to broaden their horizons and the transaction was made. After purchasing Liskey’s, Ed didn’t have the necessary funds to rename the business. He also decided that being an established business in the Lansing area, would benefit him to keep the name and carry on in the specialized field that was evolving in the automotive world. 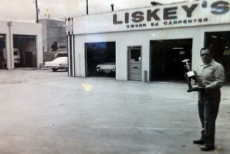 In 1972 Liskey’s was a three bay shop, today we have thirteen bays, 5 technicians and a tow truck to serve all of our customers’ needs. During his tenure, Ed became a fixture in the downtown area. Liskey’s became even more widely known for their abilities and specialties. Ed personally earned many accreditations: Businessman of Year as awarded by the Greater Lansing Business Monthly, participant of the Automotive Advisory Board of Lansing Community College. Ed also served on the Board of Directors, as well as President of the Automotive Service Association of Michigan. In addition, he participated in the Board of Directors of the Turner Dodge House, just to name a few. In 1993 the original Liskey’s location had been bought by the City of Lansing for its parking project and future Stadium District. Ed had already acquired Herms Body Shop on the East side of Larch Street as part of the Liskey’s experience. So the decision was made to close and renovate the body shop and to stay downtown, thus came the slogan “I stayed downtown to serve you!” On February 28, 1994, Lansing saw the Liskey’s Tool Box Parade with then Mayor David Hollister helping move tool boxes across Larch Street to bring Liskey’s to its new home. Many other dignitaries as well as local TV stations were also on hand for the occasion. “Quality” to us is more than just a word. It means doing the very best job you can do every time. The successful automotive repair shop is continually faced with keeping up on the latest changes and improvements in the technology involved in keeping your vehicle running down the road in a safe an efficient manner. As in any profession, this requires continuous ongoing education. Technicians today face challenges hey never dreamed of ten to fifteen years ago. The electrical systems of today’s vehicles now involve complicated electronic circuitry, braking systems now involve computerized hydraulics, and drive trains (transmission) are computer controlled as well. These changes have forced the auto repair industry to develop the education, training and new diagnostic repair equipment necessary for maintaining and servicing this new technology. Our suppliers play a major role in this education process by providing us with ongoing technical support, training and informative industry publications. They do this because they understand that as in any industry, providing training and education is the best investment a business can make.